I did ok on the first set of 3x4 minutes and as expected on the ramp and ramp down. The final set of 3x4 were off. 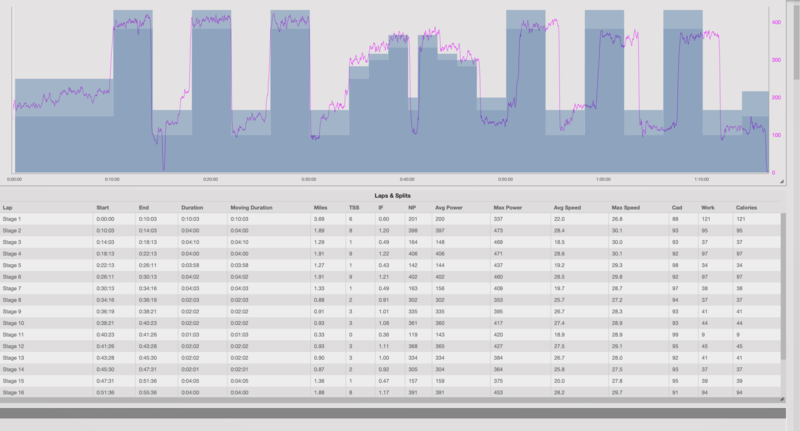 I settled in to power at 360 and was checking HR which was in the 160's, or 88-90%. 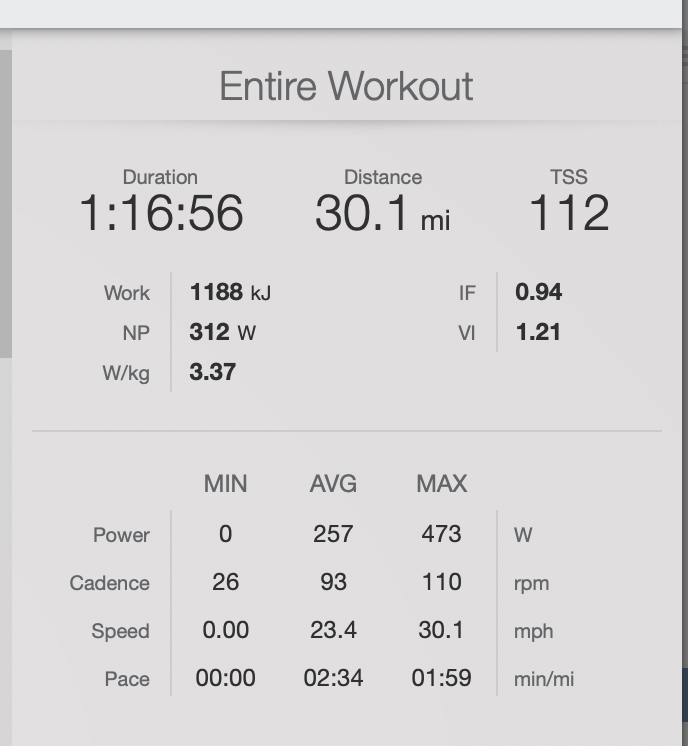 Might be some fatigue from the long ride on Saturday, 4 hours of yard work (removing stumps and installing fencing in between the Saturday rides) and even the moderate ride yesterday.